End of news: Can democracy thrive with post-news journalism? The moderate Iranian president asserts himself evermore as the next Supreme Leader. Can he survive the unlikely alliance of Iran and US hardliners? Recent unrest in Iran can neither be fully explained by discourse of inequality, nor by that of democracy. The underlying theme of everything that is happening these days in Iran is one thing: Who is going to succeed the Supreme Leader Ayatollah Khamenei? Rouhani ran a successful campaign in 2013 against Iran’s hardliners with an ambitious platform of saving the economy (through reaching a deal with the Western power over its nuclear programme) and ending the police state (by keeping social media unblocked) — both caused by Ahmadinejad and his hardline allies. Despite an aggressive campaign, centred around unemployment and inequality, Raisi lost with a big margin to Rouhani. As the chairman of the Supreme National Security Council, which is a post constitutionally given to sitting presidents, he created a relatively safe space for reformist politicians, activists, and media to return to the political scene. He ended the squeezing of the civil society by the security apparatus. Moreover, he quietly expanded the reach and the speed of mobile access to the internet which significantly benefited the moderates’ and civil society who had no place in the state-run media. He also appointed a popular female reformist activist as a vice president for women’s affairs. This time, hardliners were determined to unseat him. Not just because Rouhani was quietly but effectively rolling back the immense wealth and influence they had managed to gain under Ahmadinejad, but also because they knew Ayatollah Khamenei’s health and age would soon mean somebody should be elected to replace him. 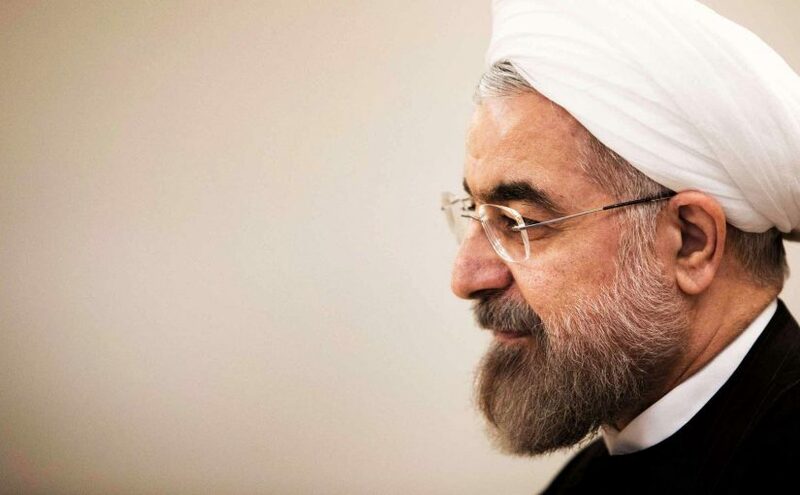 Hardliners were worried that a second term for Rouhani would shatter all their dreams. In May 2017, hardliners found their best candidate. Ebrahim Raisi was a handsome (but uncharismatic) younger cleric (and also a prosecutor of a secretive special court for the clergy) who was recently appointed by Ayatollah Khamenei to run Imam Reza’s shrine and its associated endowment with an estimated $15b value. They threw everything they had behind Raisi. From their huge influence in clerical establishment, state media, and the Revolutionary Guards’ quasi-private cultural empire they had built under Ahmadinejad’s corrupted rule. They even forced the former mayor of Tehran, Bagher Ghalibaf, who had already ran and lost twice for president, to run again — and do the dirty works for the neophyte Raisi during the campaign and especially presidential debates. Despite their brutal and extremely populist campaign, centred around inequality and unemployment, they lost to Rouhani who basically promised to protect and expand his two achievements: Barjaam (Nuclear deal in Persian) and Telegram. Trump had already shocked everyone around the world, including the Iranian establishment. Hardliners, though, visibly welcomed his victory because they knew how Trump hated the deal and implicitly hoped he would kill it — something they failed to do due to the strong practical (not so much rhetorical) support of the Supreme Leader. It was not an accident that some US hawks, such as Elliot Abrams, explicitly wished for Rounahi’s rival to win. Their goal of regime-change in Iran could never be achieved while moderates were in power. American hawks have found a golden opportunity to undermine the nuclear deal and the moderates without much effort, both of which are big hurdles for their ultimate project of regime-change. After his victory, hardliners quickly began to embarrass Rouhani before a crucial part of his base: women. They lobbied the clerical establishment against appointment of women as cabinet ministers. They forced Rouhani to move his reformist vice-president for women’s affairs, Shahindokht Molaverdi, out of that position. They also blocked his plans to allow women in football stadiums, as well as a fresh clamp-down on young women’s dress-code in big cities and stopping female musicians to perform on stage alongside men. The tacit alliance of US hawks and Iran hardliners reached a climax earlier in October when Trump officially announced his policy of regime-change in Iran. Soon after the expected patriotic mood settled in Iran, Rouhani presented his budget to the parliament, warning that the economy couldn’t be fixed without a more transparent budget and invited all public organizations, especially those that belonged to the clerical establishment ,to be more accountable. He widely publicized it on social media and asked the public to start discussing it hoping that popular outrage would get the parliament cut public funding for dozens of those institutions which were mostly created or boosted by Ahmadinejad. Hardliners, mostly direct or indirect students of Ayatollah Mesbah Yazdi, the nemesis of the reform in Iran, activated their grand plan: either to force Rouhani to resign now, or disillusion his middle-class base and thus defeat the moderate candidate (who is rumoured to be Ali Larijani) for the next presidential elections in 2021. They sent dozens of their senior members to speak in their strongholds such as Mashad, Isfahan, and Hamedan. They also, rather anonymously, organized anti-government protests to accompany them. It’s yet to become clear if these hardliners had anticipated violence or not, but they surely had expected that US hawks would eagerly endorse the protests and put Rouhani in a losing game: If he let the protests continue, they would paint it as a grave failure of his economic policy which includes the nuclear deal and ultimately accuse him of severe incompetence. If he curbed them, they would illustrate him as an aloof autocrat who crushed the poor or the unemployed to cover up for his broken policies. When the protests turned violent and the US hawks jumped on it, hardliners found their dream scenario. They forced Rouhani (who doesn’t have the majority vote in the committee which controls internet filtering and is overseen by the judiciary) to break his promise and block Telegram and Instagram — both blamed by the same hardliners for inciting violence. They also blame him of endangering national security by neglecting the economy and expressed wishes to kill the ’fruitless’ nuclear deal. On the other side, American hawks have found a golden opportunity to undermine both the nuclear deal and the moderates without much effort — they are both big hurdles for their ultimate project of regime-change. He has previously shown to be a deft politician who delivers. He is a jujitsu player; He anticipates a blow and turn its very force against the attacker. He has displayed that in television debates in 2017, and he might pull off something similar this time. Next Next post: End of news: Can democracy thrive with post-news journalism?